We’re just one month out from August 23, the night a record number of Disney villains – more than 50 in all – will invade Disney’s Hollywood Studios as part of the park’s new, separately ticketed event, “Villains Unleashed.” While some of the surprises being planned for this one-night-only party remain hidden under a cloak of mystery, other tantalizing details are beginning to emerge, and it’s shaping up to be one fiendishly fun evening! Hades Hangout - The party kicks off at 8 p.m. at the main event stage, where hosts Hades, Megara, Pain and Panic are killing ‘em with comedy. They’re joined throughout the night by the Underworld Dancers, DJ Igg Nite, live music from Bernie Briquette and Brimstone, and a rogues gallery of roaming rottens, from the Queen of Hearts and Sheriff of Nottingham to the Big Bad Wolf and Captain Hook. Villains Dominion – For this one special night, the Streets of America area of the park will be swarming with baddies. 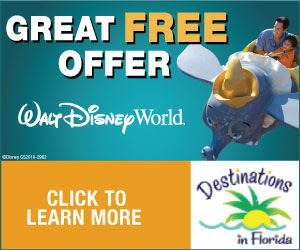 Here, you’ll have the opportunity to meet favorites like Cruella De Vil, Jafar, Dr. Facilier and Gaston, along with more rarely seen baddies such as Shan Yu from “Mulan,” Bowler Hat Guy from “Meet the Robinsons,” or Captain Gantu and Dr. Hämsterviel from “Lilo & Stitch: The Series.” In addition to these dedicated villain encounters, you may spot even more wandering evildoers in the area. Look for Judge Claude Frollo, Lady Tremaine, Anastasia, Drizella, and more! The Dark Side – During “Villains Unleashed,” the area around Star Tours – The Adventures Continue becomes a wretched hive of scum and villainy, the place to find nefarious bounty hunter Boba Fett, Sith apprentice Darth Maul, and the ultimate villain – Darth Vader! And that’s not all! Wandering the area, you’ll stumble upon more malcontents from that galaxy far, far away: Zam Wessel, Aurra Sing, Asajj Ventress, Jango Fett, Greedo, Jawas, and others. Villainous Encounters – Visit Stage 4 (where The Legend of Captain Jack Sparrow attraction is seen during the day), and you can “Parlay” with the one and only Hector Barbossa. And just around the corner in the Animation Courtyard is where you’ll discover a bit of the Moors, where you can have an audience with the mistress of all evil, Maleficent! Oogie Boogie’s Freaky Funhouse Show – Over on Sunset Boulevard, Theater of the Stars presents a production of extreme performances, hosted by the original master of scare-monies, Oogie Boogie. It’s an all-new show that’s sure to thrill! Fantasmic! – Strolling up Sunset Boulevard, a gang of villainous henchmen, known as the Night Crawlers, tempt you to join them for a special pre-show to the evening’s performance of Fantasmic!, itself a celebration of the power and intrigue of some of the greatest Disney villains. “Villainy in the Sky” Fireworks – Ultimately, Hades summons Maleficent to the main event stage to close things out with a devilishly dazzling display of pyrotechnics! And there’s more! 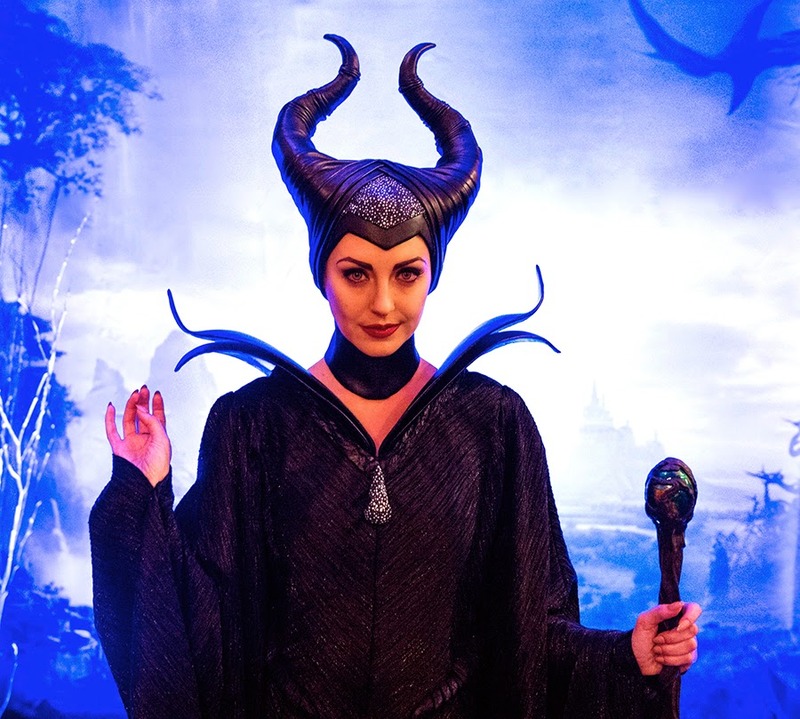 You can get a Villains ExScream Makeover with complimentary face painting at stations around Echo Lake, join in on one of the dance parties taking place in the park, and enjoy a wicked cabaret atmosphere – not to mention some delectable, small-plate menu items – at Club Evil in the Hollywood Brown Derby. For fans of Disney’s darker characters, “Villains Unleashed” promises to be a nightmare come true! 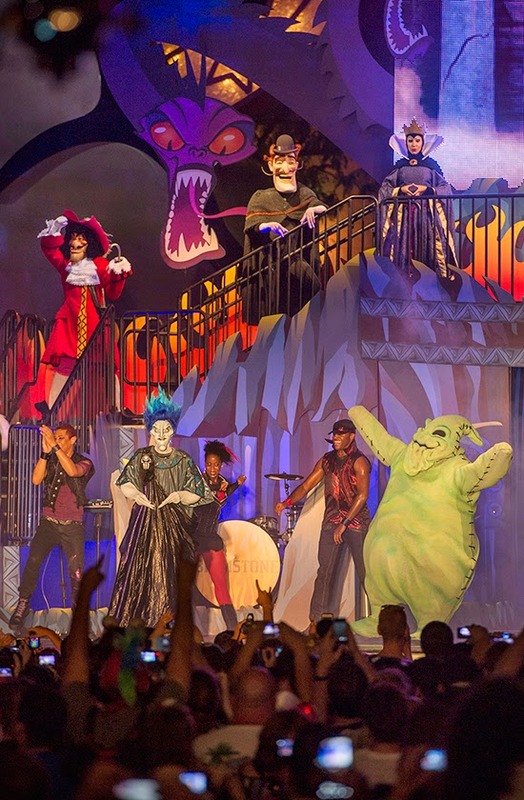 It’s all happening one night only, August 23, 2014, at Disney’s Hollywood Studios. You won’t want to miss it, so get your tickets now, before they all disappear!